Disney raised a lot of eyebrows last month when it abruptly fired James Gunn, the architect of its ridiculously successful Guardians Of The Galaxy movies, over a series of tasteless, immature, and above all old tweets that were dug up by a right-wing smear campaign dedicated to, well, getting James Gunn fired by Disney. (That’ll show ’em.) Since then, the studio has had to weather wide-spread criticism for the decision, protests from its cast members, and, now, the sight of other studios gleefully lining up to work with a guy who made his previous employers roughly $1.6 billion over the course of his last two films, before they abruptly kicked him to the curb because some Twitter assholes said they should. This is per The Hollywood Reporter, which notes that Gunn is already being courted by a number of big-name studios and producers, all of whom seem perfectly happy to accept that his past tweets, while, again, tasteless, were made a long time ago, and he’s matured a lot since then, and also, $1.6 billion. The THR article doesn’t name names, but quotes at least one anonymous producer who said, “I’d work with him in a heartbeat,” and suggests that there’s plenty more enthusiasm where that came from. Said sources are anonymous because Gunn is still technically under contract with Disney, an exit from which is currently being negotiated. Of course, it’s still hypothetically possible—if unlikely—that there might be some sort of abrupt change of heart here, and Gunn’ll be invited back to helm Guardians 3 or some other Marvel movie. 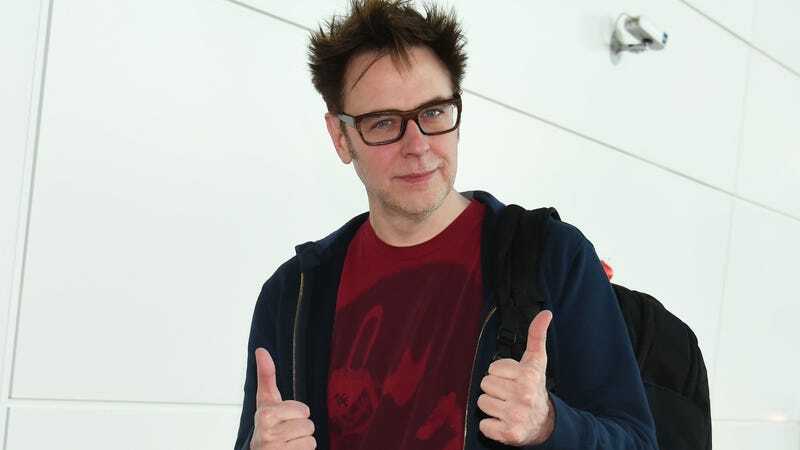 But either way, he’s probably not going to have to go back to Troma movies or trying to sell people on The Specials; don’t worry, folks: James Gunn is going to be just fine.